If you have a cat or cats and you think of them as part of your family then you would certainly not want to see them unhappy. Having an unhappy can be both physical and emotional and this can lead to health problems if your cat is not taken care of the right way. In this article I will touch a little on the areas that are considered to be important when it comes to keeping your cat healthy and living a longer life. By following this guide it may also save you a few visits to the vet. Cats need to be fed daily, times and quantity varies with kittens and adult cats. Obesity is one of the major factor of heart disease in cats as they get older so they need to be fed according to age and they do need extra supplements and nutrients just as us humans to prevent any health issues. You can check with your veterinarian for advice on what to give them. A recent study shows that cats with poor dental hygiene and common forms of oral diseases have a higher rate of testing positive to other serious health problems. Proper care should be taken to prevent diseases such as Feline Immunodeficiency Virus (FIV), which is the feline version of HIV and Feline Leukemia Virus (FELV). Both FIV and FELV are highly contagious and could be spread from one cat to the other but humans cannot contract these diseases from cats. By preventing this type of disease your cat can have a longer, healthier, happier life. You should brush your cat’s teeth at least once a day. If this cannot be done then at least once per week, but nothing less than that. Apart from brushing your cat’s teeth, it is advisable to have your cat see the vet at least once a year for an annual cleaning to prevent tartar build up. Certain types of toothpaste are available on the market. Cats are known to clean themselves by licking their coats. Cats have a need to always be and stay clean, if any dirt gets on them you will see them quickly trying to lick it off. As cat parents we need to do our part in helping them stay clean, trust me they will love you for it. It’s also a time for bonding with your cat. To get started you will need to get your cat relaxed by first petting her and stroking her on the head, behind her ears and especially on their cheeks which they love very much. They will eventually get very calm and then you can start the grooming. 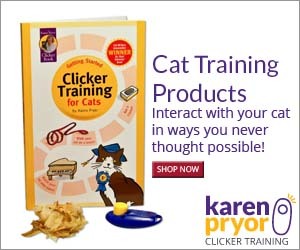 At first only set 5 to 10 minutes a day for a session and then gradually increase the time as your cat gets used to it. Brushing or combing your cat’s coat will not only leave it clean but will also remove loose fur, dirt and will help in spreading natural oils evenly and will leave your cat tangle free and her skin clean and irritant-free. For short-hair cats, brushing once a week should suffice and for long-hair cats you will need to brush every day. Cats are not too fond of water but they can be trained and grow to like it if you start bathing your cat at an early age. Older cats will be a little more of a struggle to get them into the water but with some patience you will get there. Baths should be given when your cat’s coat becomes too oily or if they get themselves into something dirty by being outdoors. Always use a shampoo that’s mild and safe to use on cats. Brush your cat’s coat, to get rid of all loose and matted hair. Place a rubber mat on the floor of your tub, bath or sink to prevent skidding. Fill tub or sink with 3 to 4 inches of lukewarm water. If you have a spray hose that will be better to use if not then an ordinary plastic cup will do, make sure you don’t get a lot of water in your cat’s ears and nose. Use a cotton ball to wipe each eye to remove any discharge from the corners of the eyes, use separate cotton balls for each eye. Gently massage in shampoo from head to tail. Pat dry your cat with a soft towel. If you have a cat who refuses to let you bathe him then another alternative would be to use a Water-less cat shampoo. Gently apply pressure to the top of the paw, this will cause her to extend her claws. Use sharp nail scissors or clippers to remove the white tip of the nail, just before the point where it begins to curl. Extra care should be taken to avoid nipping the quick, which is the vein that runs through the nail. This is the pink area that can be seen through the nail. If you do happen to cut this area it will bleed, you should have styptic powder on hand to apply to the area. Nail clipping is highly recommended instead of declawing, which is a very painful procedure and sometimes do end up in your cat having other side effects. More of Declawing can be found in another article. By following these few guidelines you may be able to prevent fleas and ticks as well but if your cat is an outdoor cat they may be more prone to picking up these parasites. It’s easy to know whether your cat has them or not, you will notice your cat scratching more than usual. If this is the case you should use a flea comb and check at the back of the neck for any black dots. Fleas and ticks can be treated with ointments, medication or special collars made for this purpose. There’s a lot of choices on the market, whichever you choose to use, follow the instructions carefully and you should have no problems getting rid of them in no time. Please make sure to always have your cats vaccinated and be sure to take them to get a general check-up at least twice a year. By doing this it will save you from spending more money for treating illnesses that can be prevented and/or detected early. Being a cat parent is a big responsibility and we need to own up to this by making sure our cats are treated well, they are part of the family and they give us love, friendship, and even good health so we need to give back as well. By following the basic steps above you should be able to keep a healthy cat for a number of years.